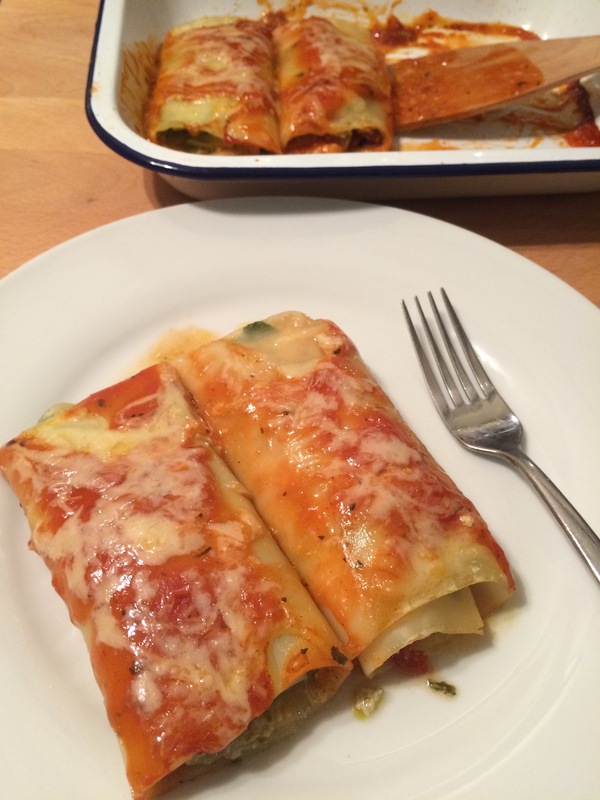 Next up we have these Ricotta Veggie Lasagna Rolls using your home made Ricotta! These make a really nice lunch or light supper for 2. I like variety so I made 2 different kinds. Green Pesto and Courgette and Red Pesto and Red Pepper. I think that my favourite kind were the Green Pesto and Courgette but that’s probably because I am crazy about anything with courgette in. I love it! These are a little bit tricky to make but only in the sense of lots of little steps. It doesn’t take long to prep or assemble these! You can even make them ahead and then refrigerate until you are ready to cook them if you’d rather get the prep done at a quieter time. – Heat your oven to gas mark 6 or so. 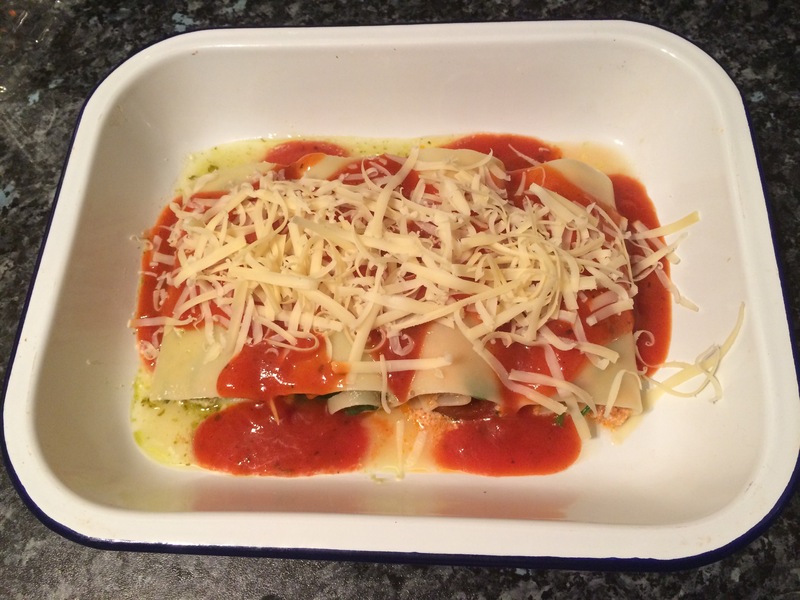 – Bring a large pan of water to the boil and add your pasta sheets. Cook for 10 minutes (or according to packet instructions). – Carefully remove the pasta from the water (keep the water!) and lay flat on a plate or chopping board. 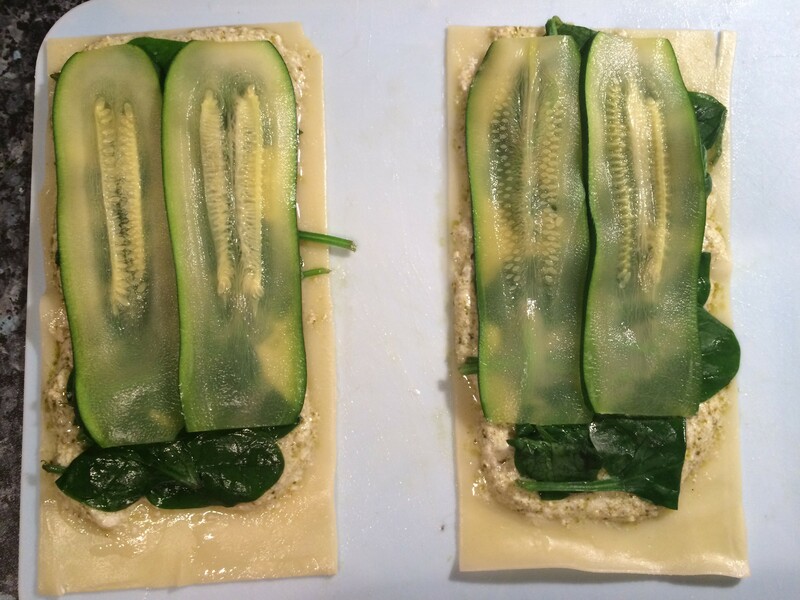 – Take your courgette and very thinly slice it lengthways so you have slices about 1/8″. I used a mandolin but with a steady hand you can do this by hand. – Place your courgette in a sieve and lower the sieve into the boiling water, balancing it on the side of the pan. Cook for 2 minutes then lift the sieve and drain. – Put your spinach in the sieve and lower it into the boiling water. It should wilt in less than a minute, then remove and drain. – Split your ricotta in two and mix the green pesto in to one and the red pesto in to the other. 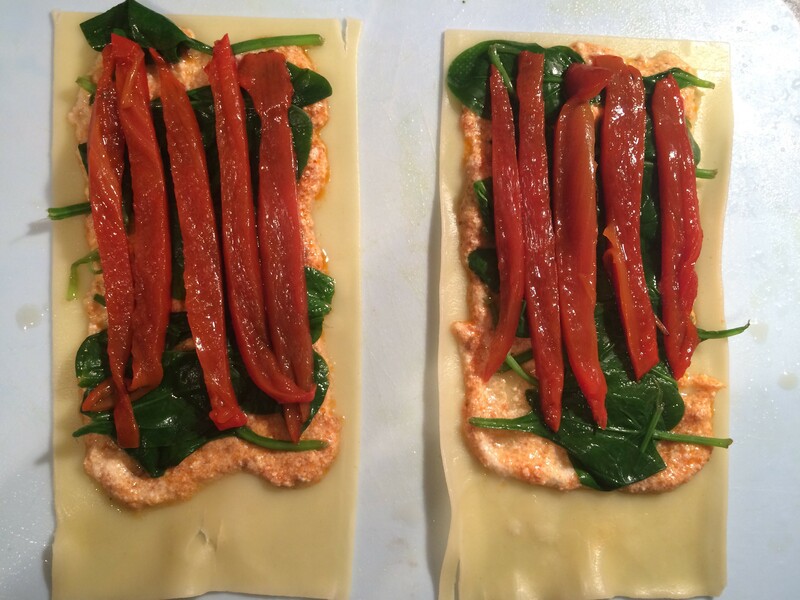 – Take a sheet of lasagna, spread a layer of the ricotta on it, leaving a good 1″ gap at the end. – Layer over your spinach and then your courgette or pepper. – Lightly spray your baking dish with oil. 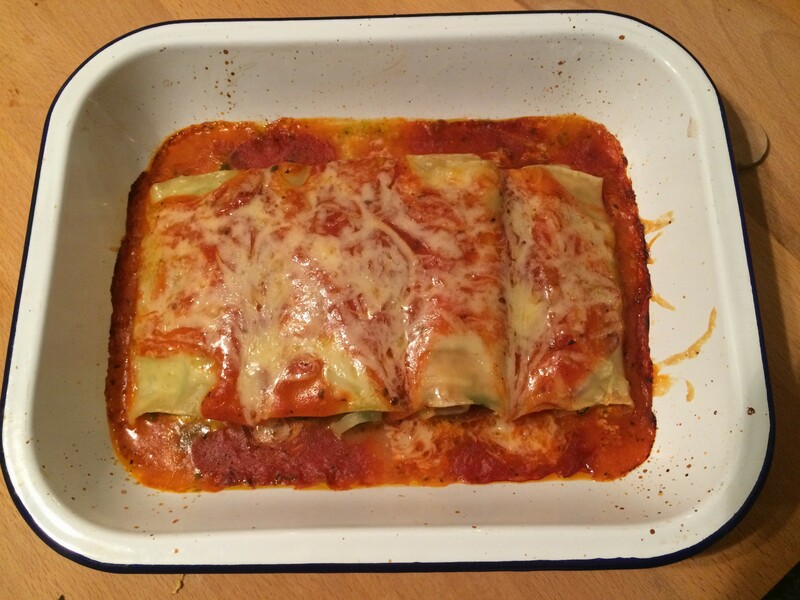 – Carefully roll the lasagna sheet towards the gap. The filling will move with the roll and start to fill the gap, it may even squish out a little. This is ok! – Carefully lift the roll into the baking dish. – When they are all ready pour over the pasta sauce and sprinkle with cheese. – You can pause here if you like and finish cooking later. – Put into the oven and cook for about 20 -30 minutes until the cheese is nice and melted and everything is piping hot. * But really, make the Awesome Sauce. It is actually AWESOME! Sorry about that. I’ll try to contain my excitement. I was so proud of myself for this one though! I came back to my house after spending Christmas at my parents’. I had planned to return before new year but plans changed. I came back to discover a litre of milk about to go off… this seemed awfully wasteful! I was racking my brain trying to come up with something to do with that much milk that would keep and remembered an ill fated attempt at making cheese previously. It seemed like an excellent time to take another crack at it! 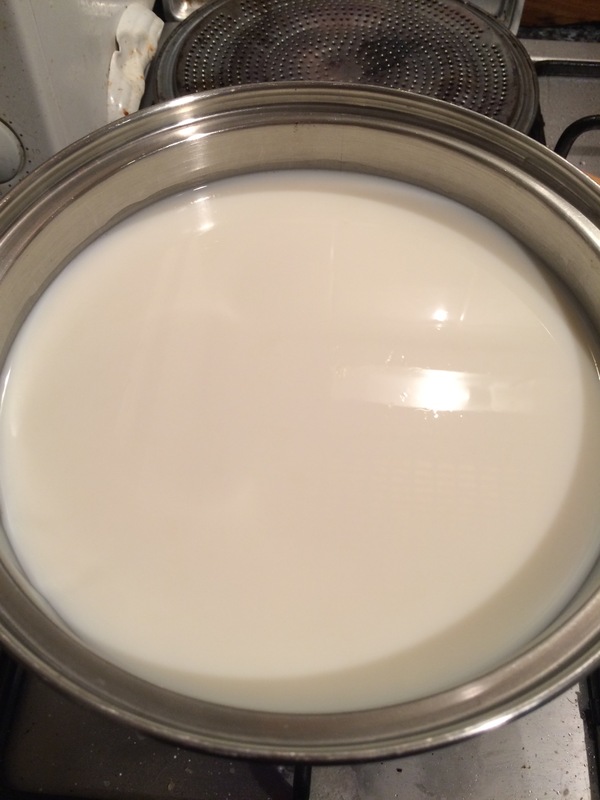 Step 1: A big pan of Milk! Bring it to the boil. Little bubbles like lace around the edge are what you want. Remove from the heat. 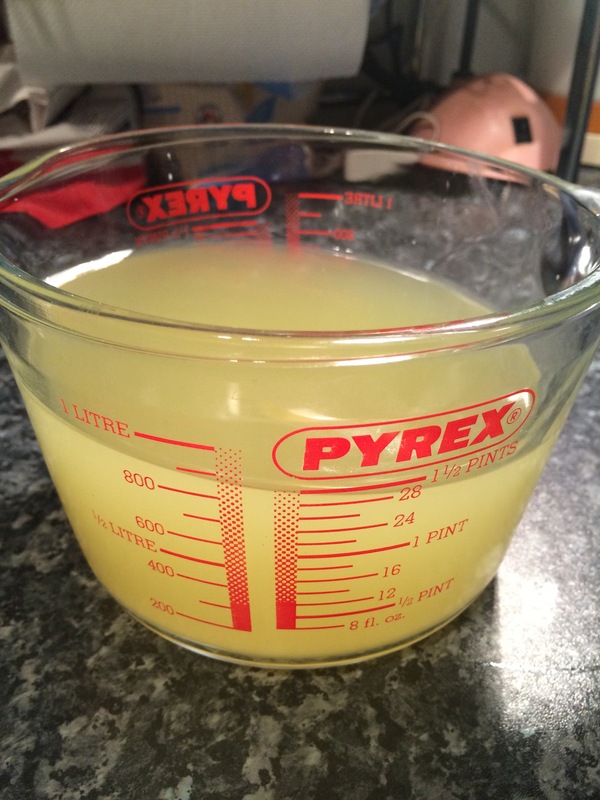 Step 3: Add 2 1/2 tbsp lemon juice and 1 tsp salt. 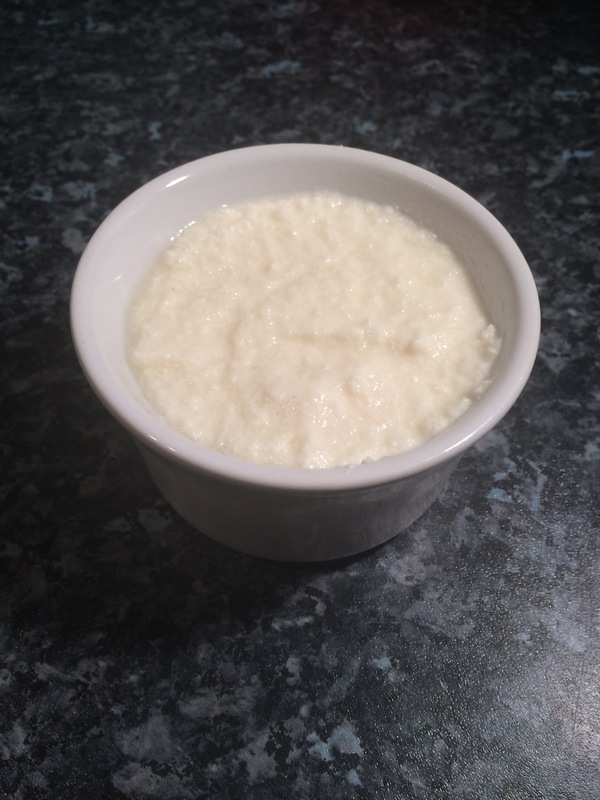 Give it a stir and let it sit for 5 minutes. 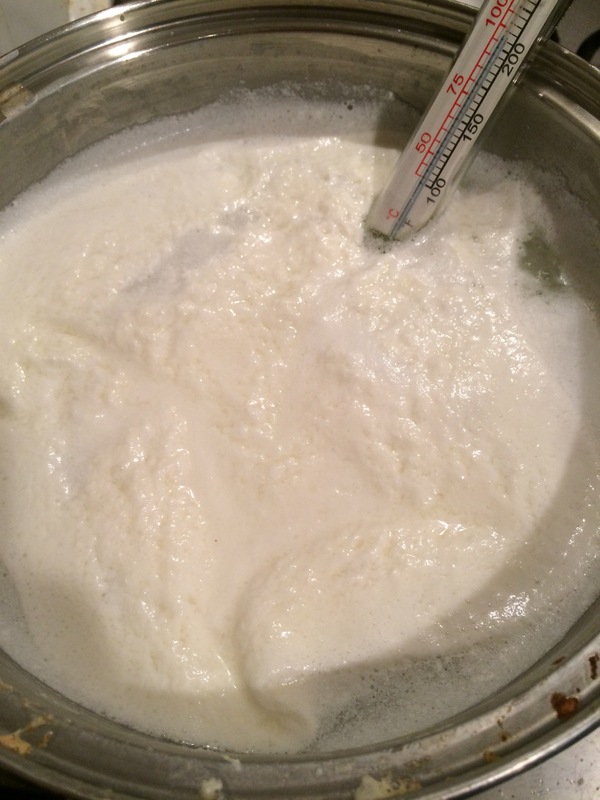 The curds and whey will start to separate. Step 4: Tip it into a sieve over a large mixing bowl. Let it drain. KEEP THE LIQUID! Step 5: Tip your drained cheese into a container! You now have Cottage Cheese! Step 6: Tip the liquid back into the pan. Bring to ~200F/100C. 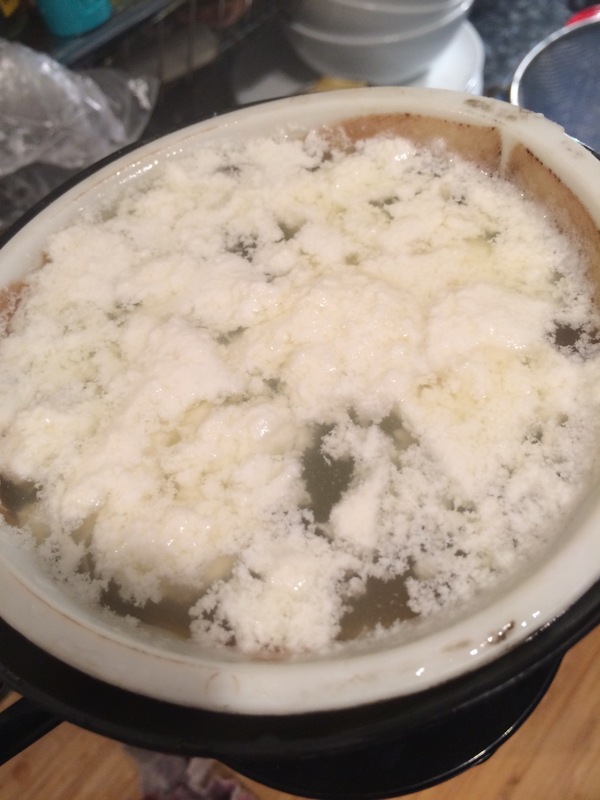 The curds will start to separate again. 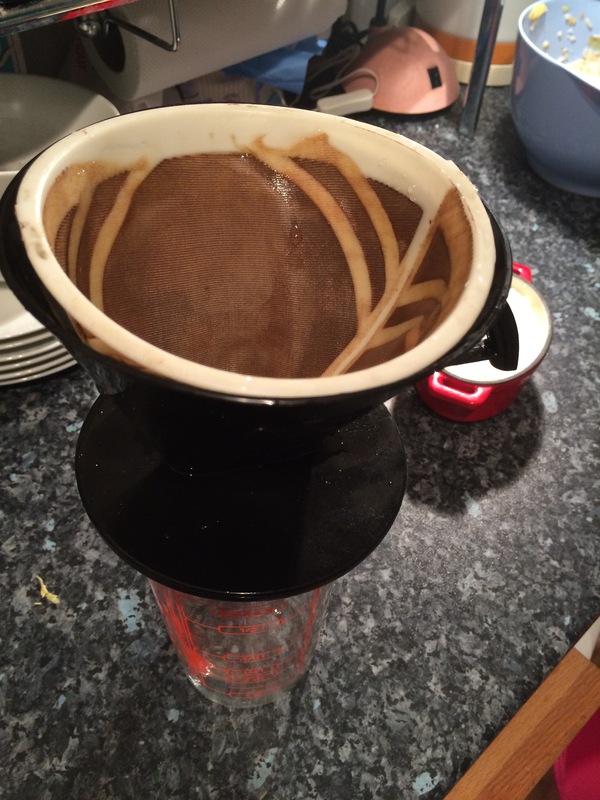 Step 7: Tip into a reusable coffee filter/a sieve lined with cheese cloth over a bowl or jug. Step 8: Leave to drain. 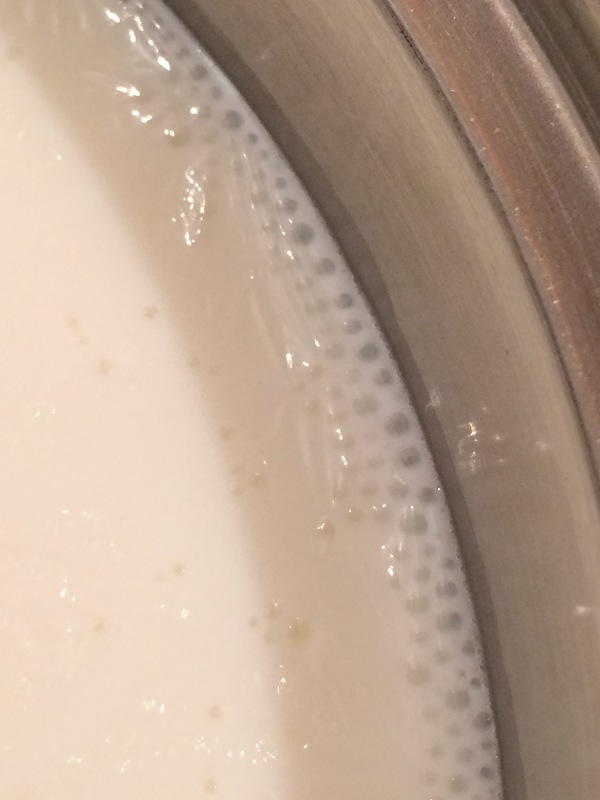 This may take some hours as the curd is finer so the holes are smaller. 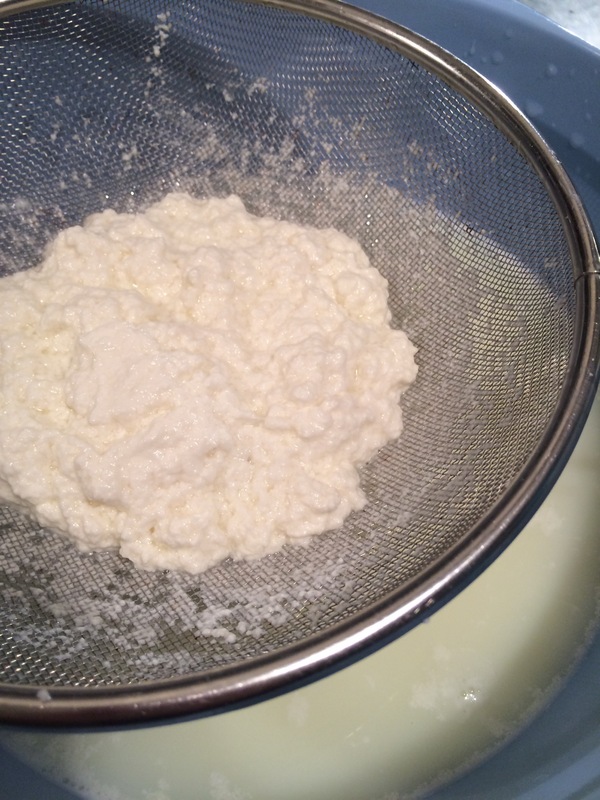 Step 9: On the top you have Ricotta! Step 10: And on the bottom you have your whey! So, from one litre of milk you get two types of Cheese and a whole lot of Whey! 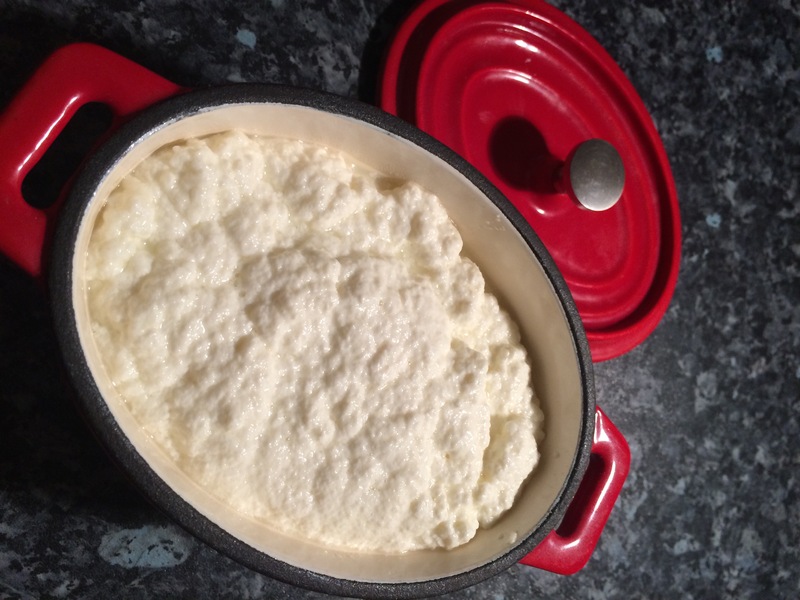 I will be sharing some recipes for what to do with your cheeses if you need some inspiration! 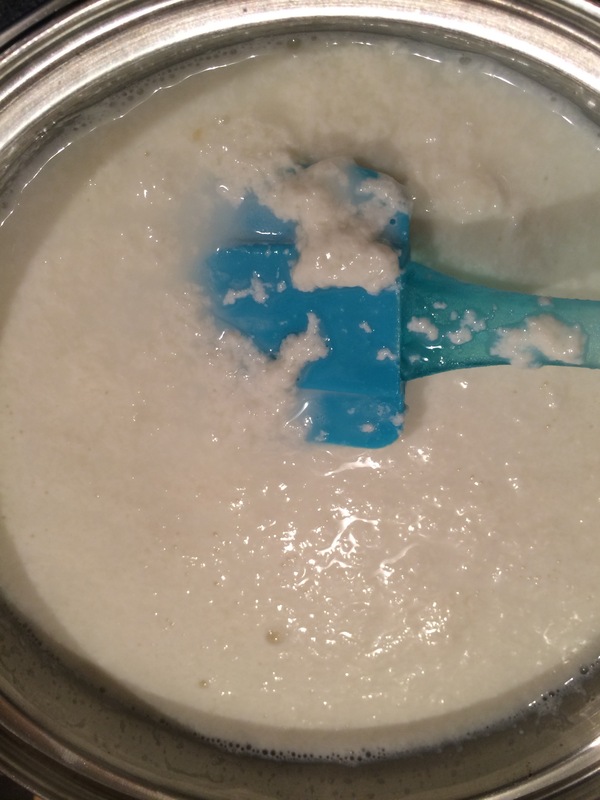 As for the whey, I’m told it makes an excellent addition to soups and risottos in place of stock but I haven’t tried it. It’s an interesting cheesy kind of stock and I’m sure any cheese fanatic will go nuts for the addition of a subtle cheese flavour in other dishes. I’m a bit picky about cheese so I confess, I’ve been giving it to Darcy to encourage him to eat his biscuits! Two weeks of being spoiled at Granny and Grandpa’s has made him a very picky eater!